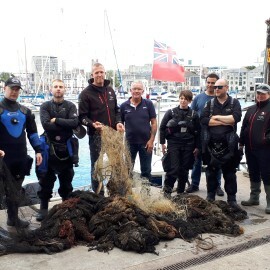 On Saturday, 5 August Ghost Fishing UK team members were joined by Healthy Seas, Milliken and Aquafil to clean up the popular wreck of the James Eagan Layne in Plymouth, UK. 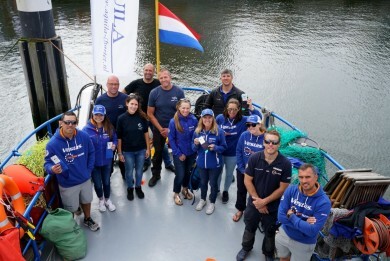 The team showed up at various stages of Friday midnight, exhausted after their work and journeys but showed incredible commitment to have the boat loaded and ropes off by 7am. 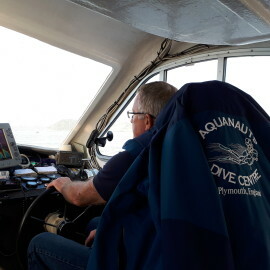 Dougie Allen, partner of Aquanauts Dive Centre and skipper of their boat Outcast was everything we hoped for. 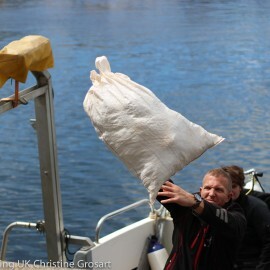 He did a fantastic job of getting on board with the project and helping everything run like clockwork. 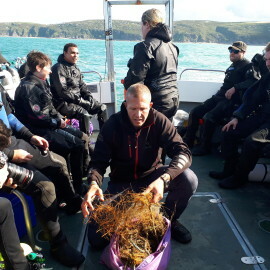 After a team briefing, the group split into teams of three – one group to work on the monofilament net on the stern and the other on the nylon mass of net on the bow. 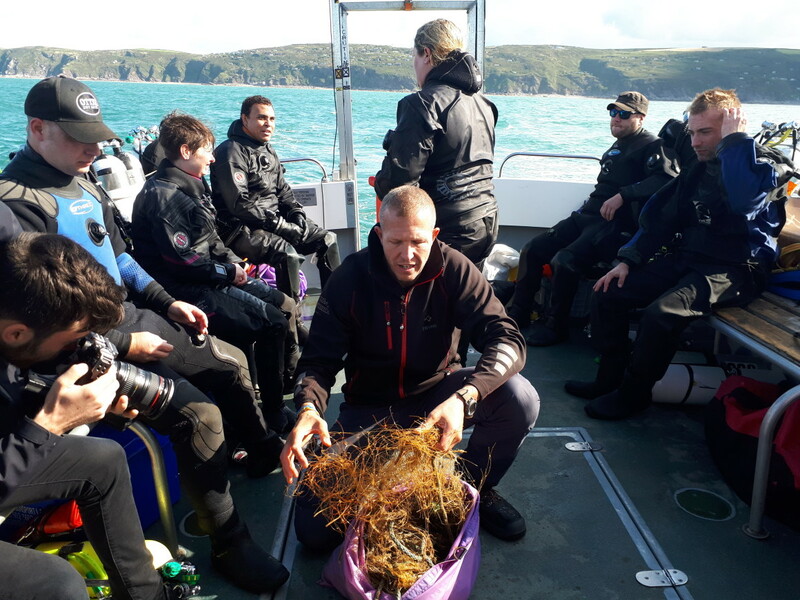 The previous week the group had visited the James Eagan Layne to survey the nets and conducted some animal releases; mainly spider and edible crabs hopelessly tangle in the monofilament. 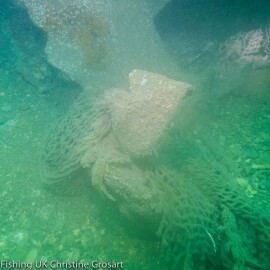 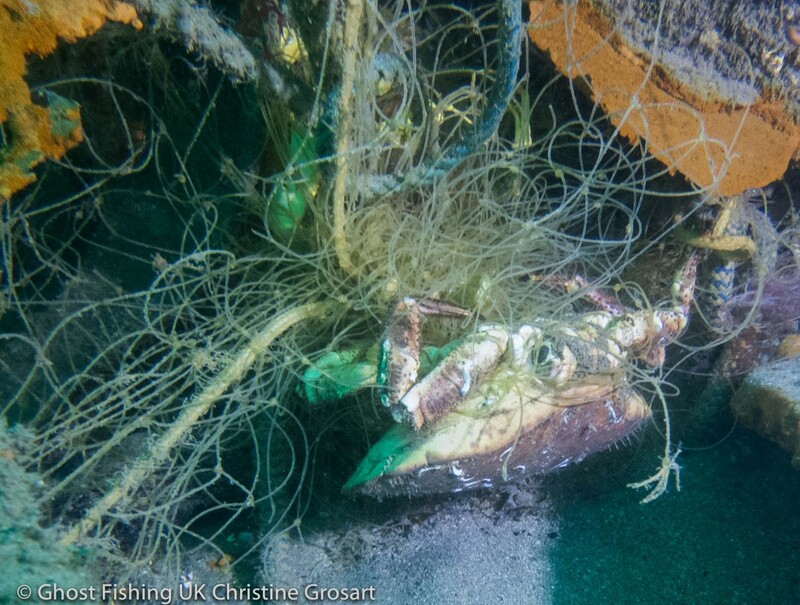 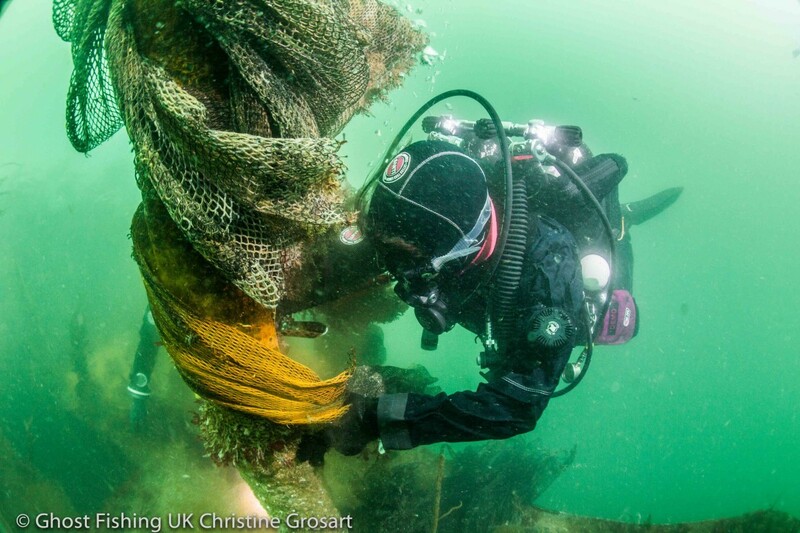 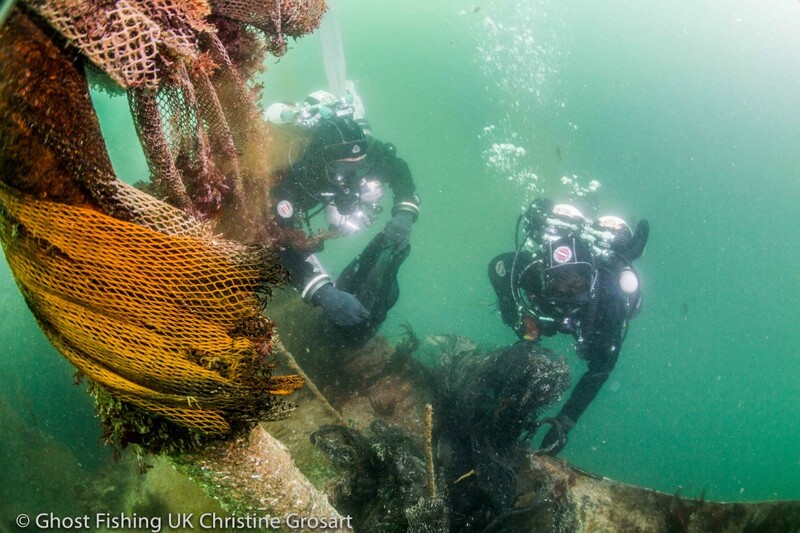 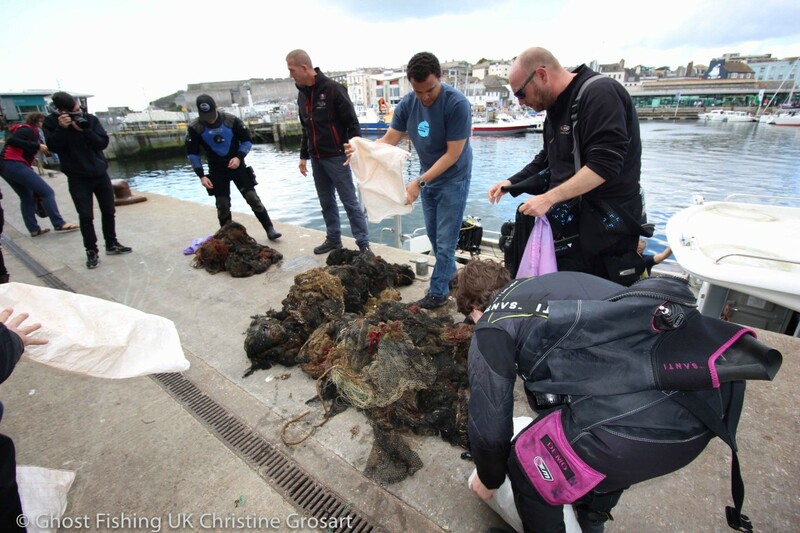 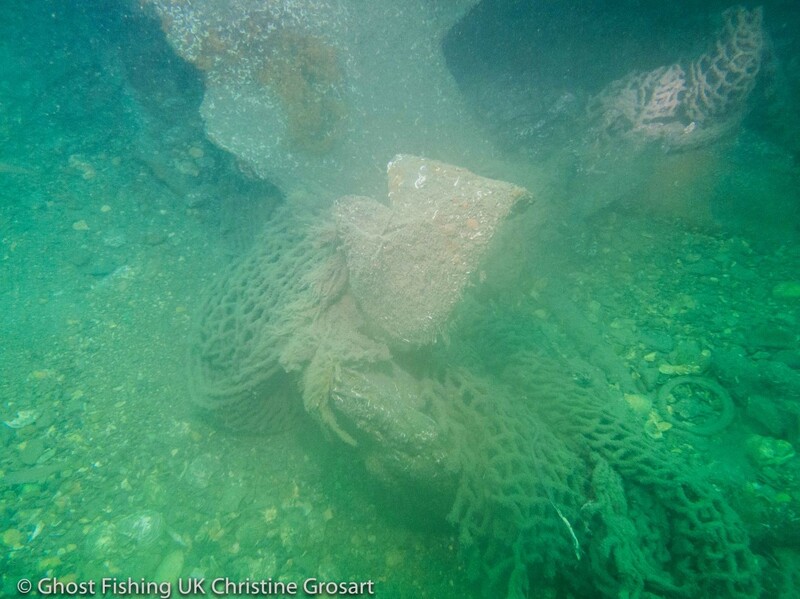 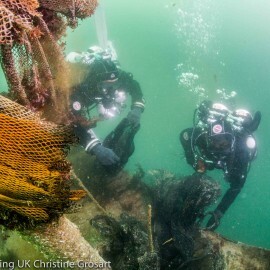 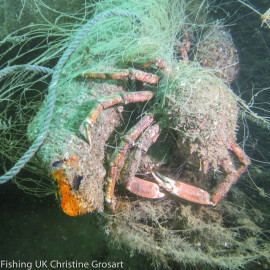 “We hoped they would not return to the nets and luckily they had stayed well away, to enable us to cut away the netting from the wreckage, which was also beginning to break it up in places and send it to the surface.” said Christine Grosart, secretary and team diver of Ghost Fishing UK. 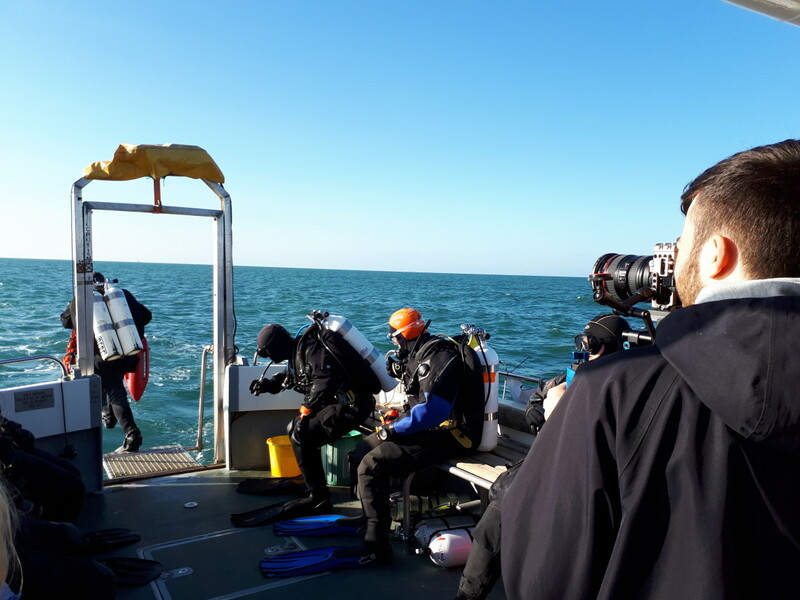 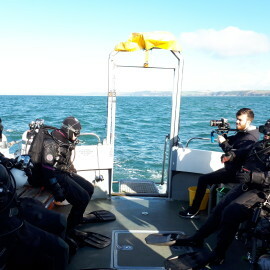 The divers worked in poor visibility and as close teams, with a spotter/camera diver as safety cover in case anyone was in danger of entanglement. 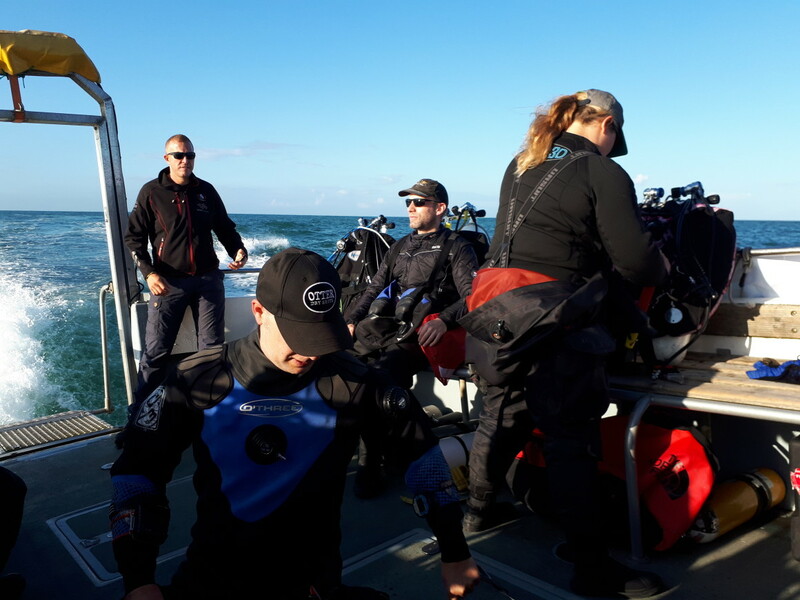 Teamwork and well-trained divers comfortable in difficult conditions were essential for this kind of operation and the dives went without a hitch. 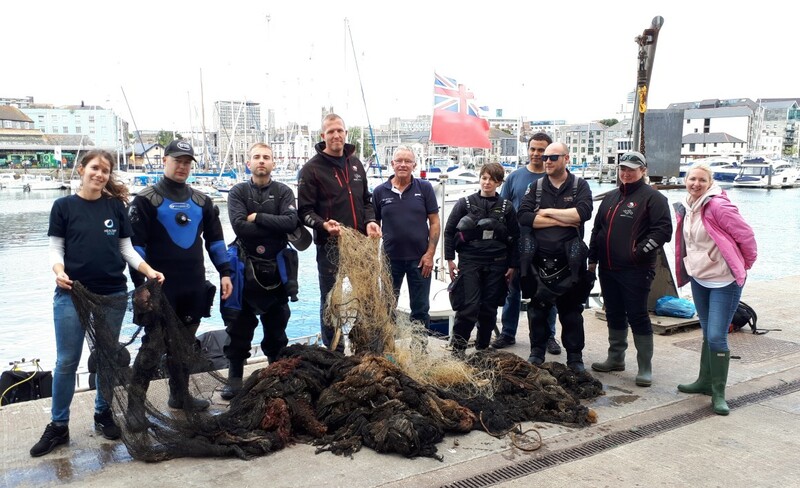 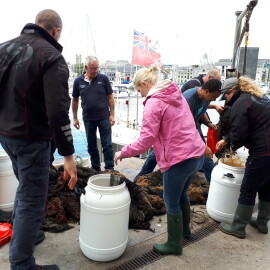 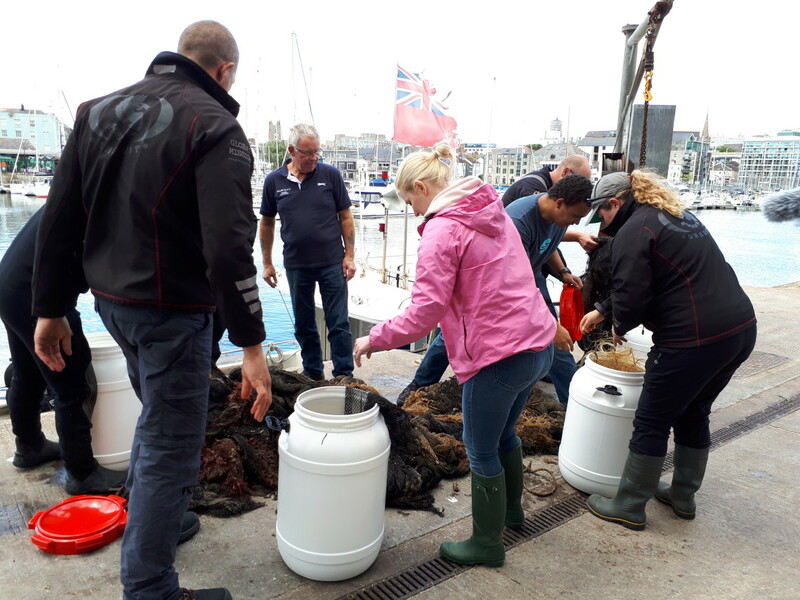 4 dives in total were conducted and the bags of ghost gear were returned to Plymouth Fisheries who had kindly given us permission to use their dockyard and crane. 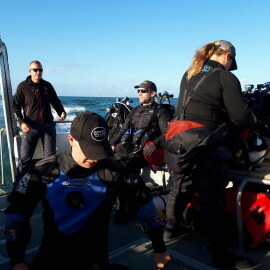 At the end of the day, the team had great results. 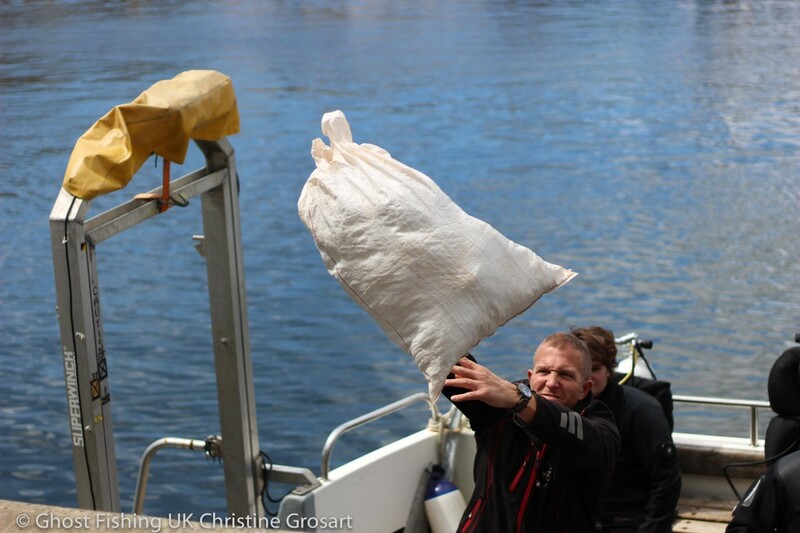 The collected ghost gear weighted approximately 100 kg! 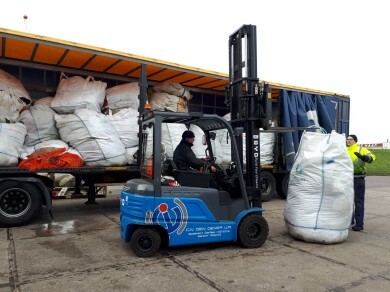 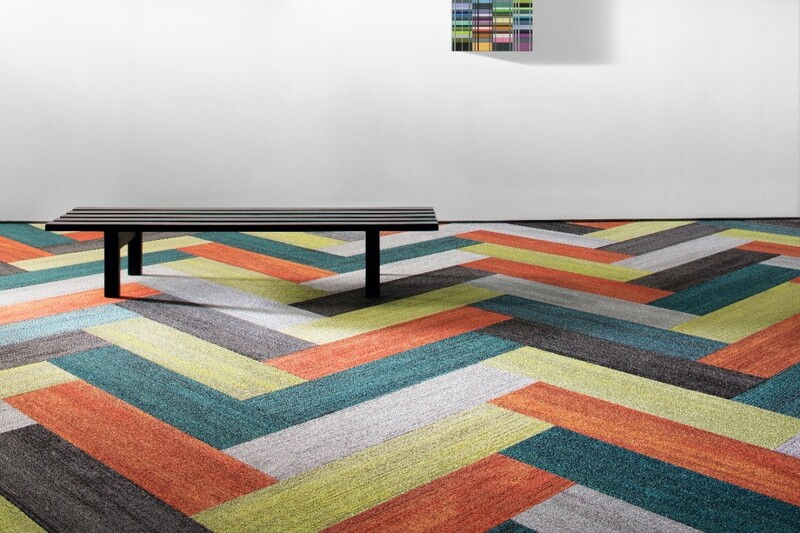 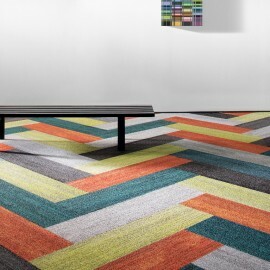 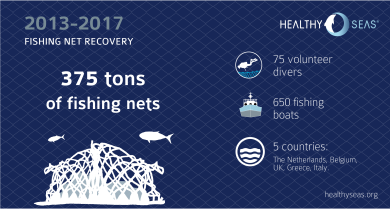 The recovered fishing nets will be transformed and regenerated into ECONYL® yarn, a high-quality raw material which is then turned into brand new sustainable textiles such as Milliken carpets. 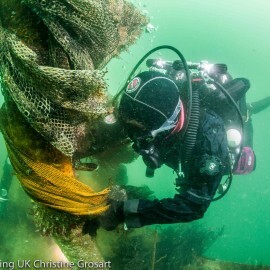 This way the partners are not only cleaning up the seas, but also providing a showcase that waste is a raw material and too valuable to be wasted. 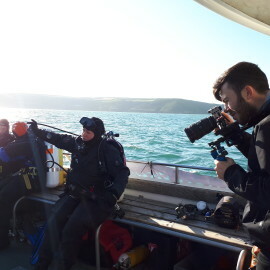 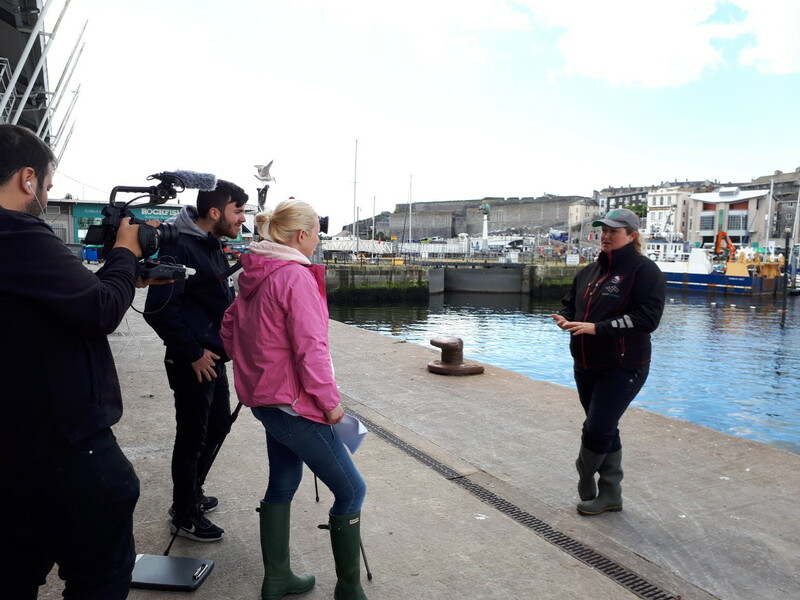 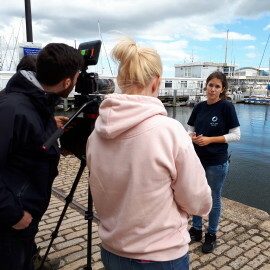 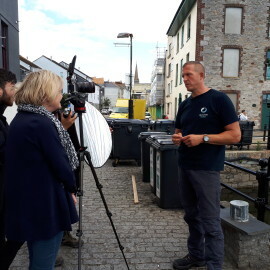 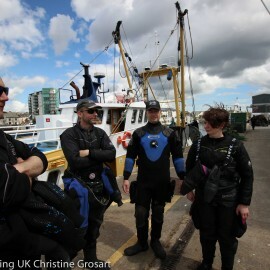 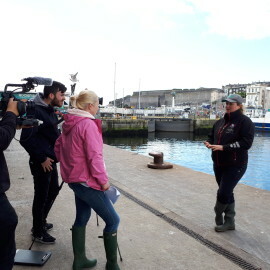 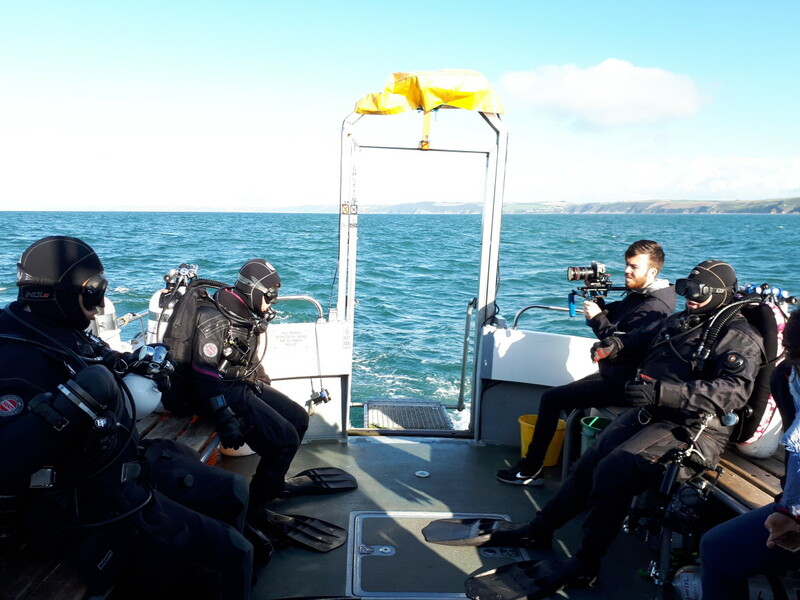 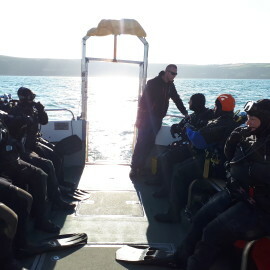 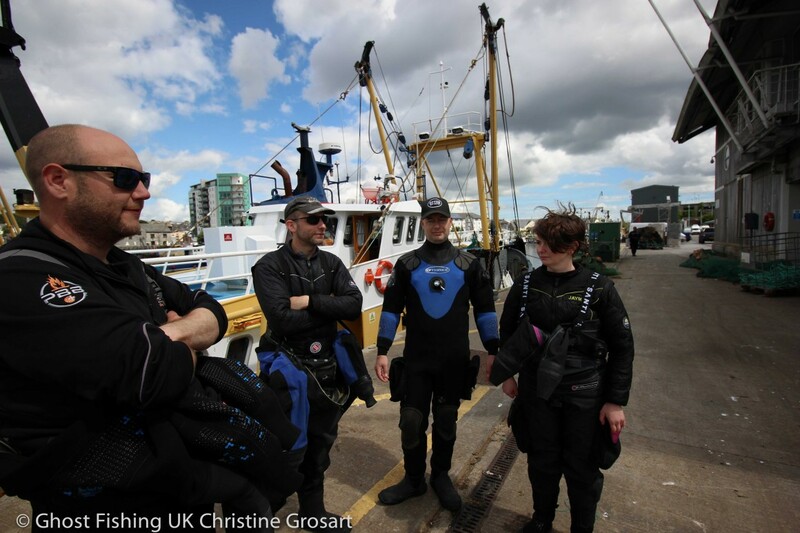 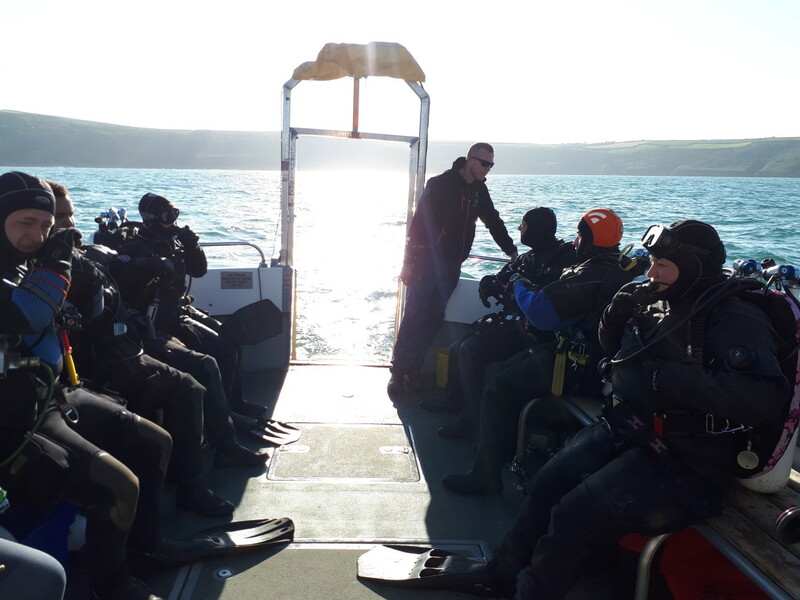 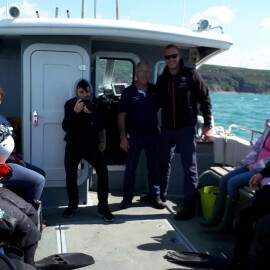 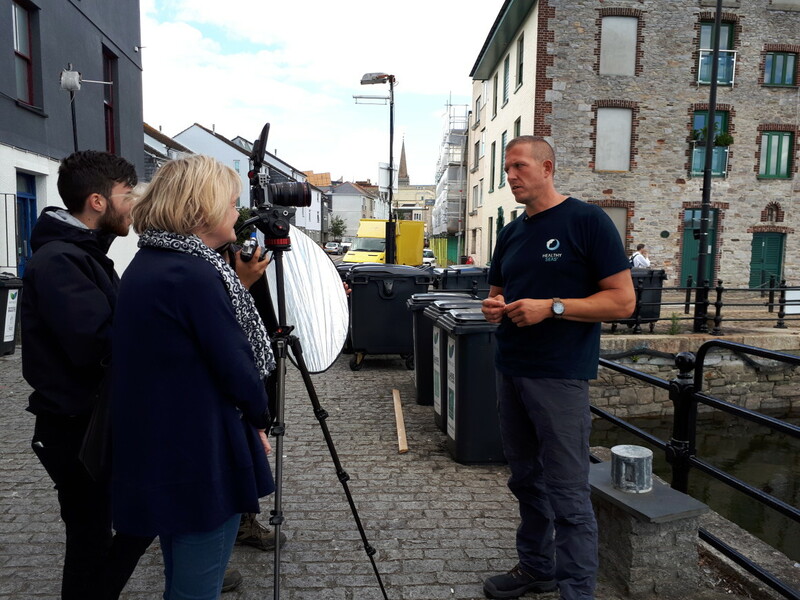 Milliken‘s Alison Kitchingman (Director of Marketing and Design) and Kate Collier (Marketing Communications Manager) joined the team of divers in Plymouth to show their support and share the experience. 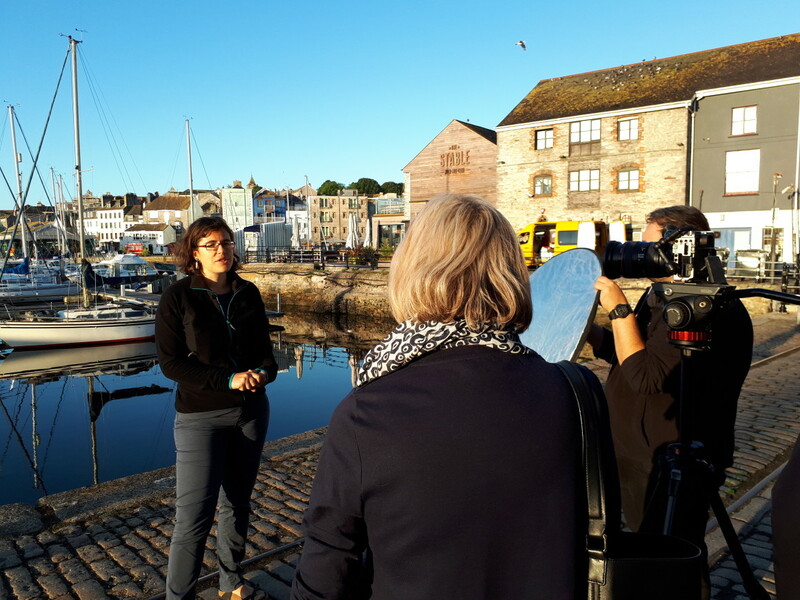 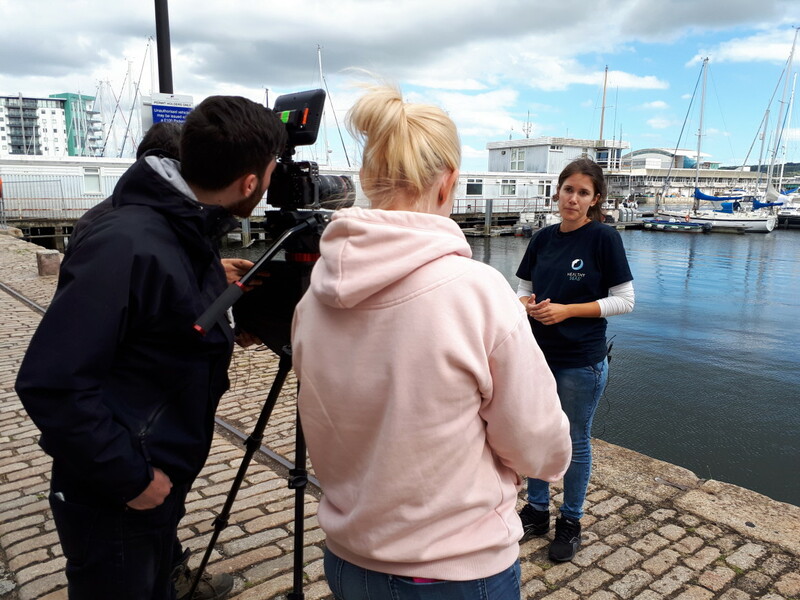 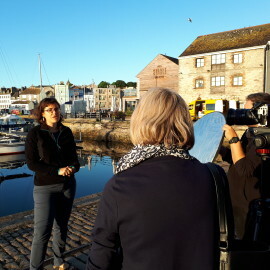 “The Healthy Seas initiative is really exciting, because it brings together a whole range of stakeholders and because it is solution based.”, said Veronika Mikos, project coordinator of Healthy Seas. 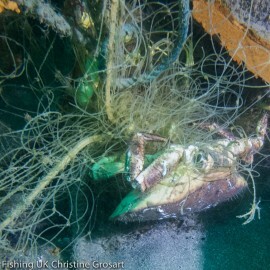 “According to a new report, by 2050 there will be more plastic in the seas and oceans than fish. 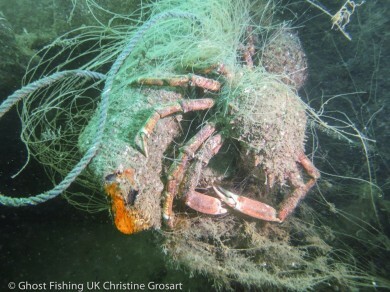 We have to work hard against it, not to let it happen. 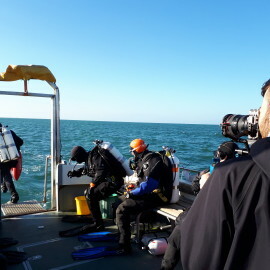 Today again, we made an important step in that direction.” she said. 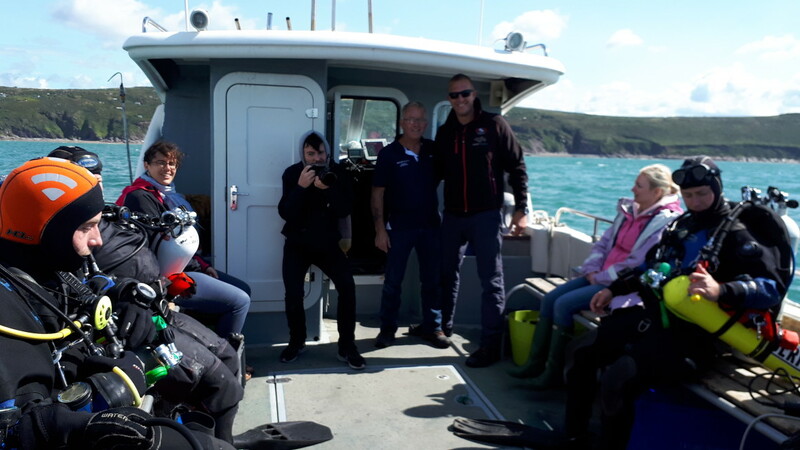 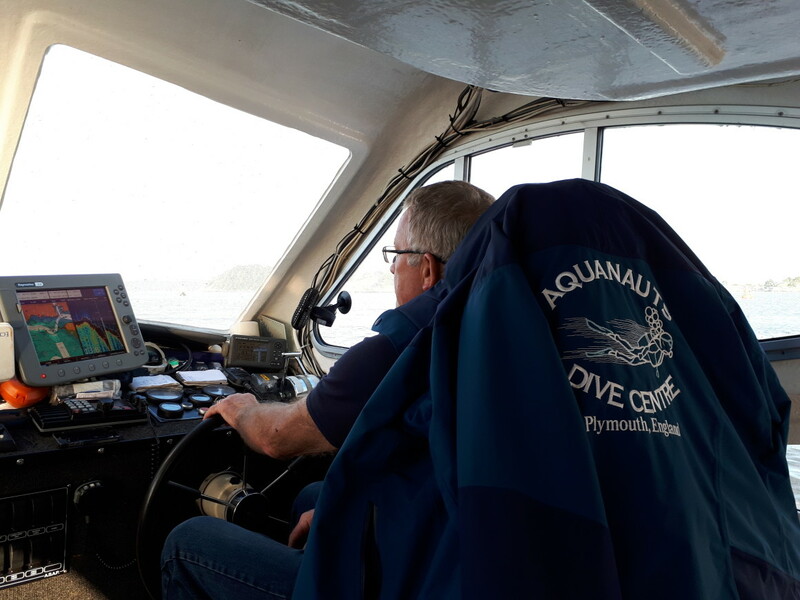 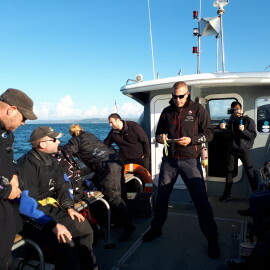 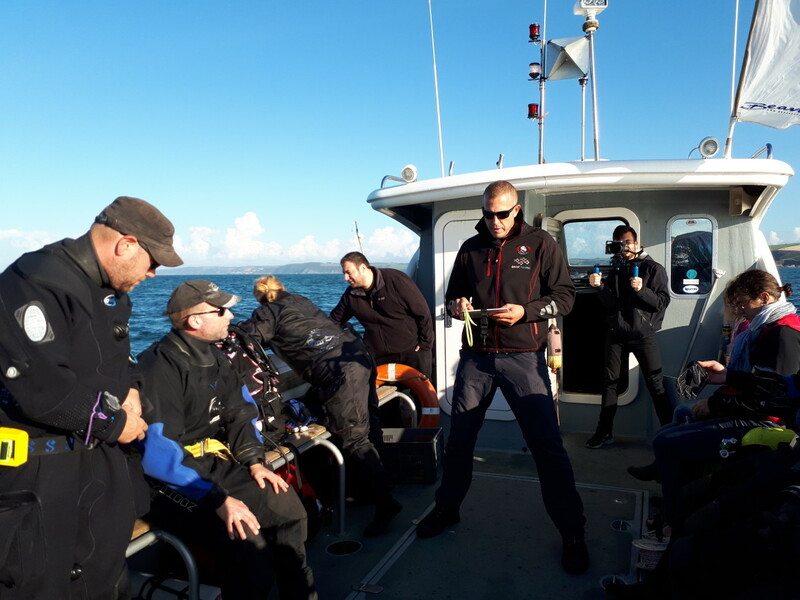 Ghost Fishing UK would like to thank Aquanauts Dive Centre, Healthy Seas, Milliken and Aquafil, as well as the continuing support and advice from the Marine Management Organisation, for a successful trip. 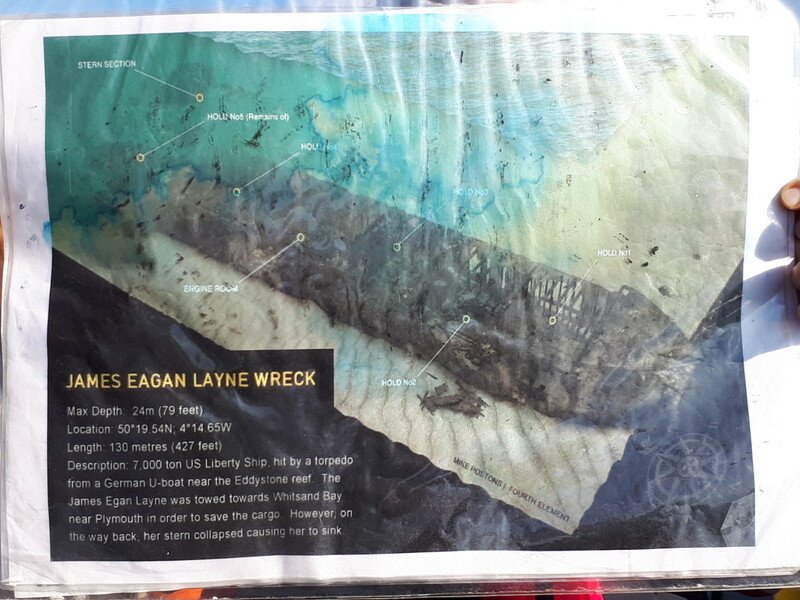 As evidenced by the photos and video, the monofilament on the James Eagan Layne is no longer a hazard to divers or wildlife while the bow is a much tidier place without the netting blowing in the swell. 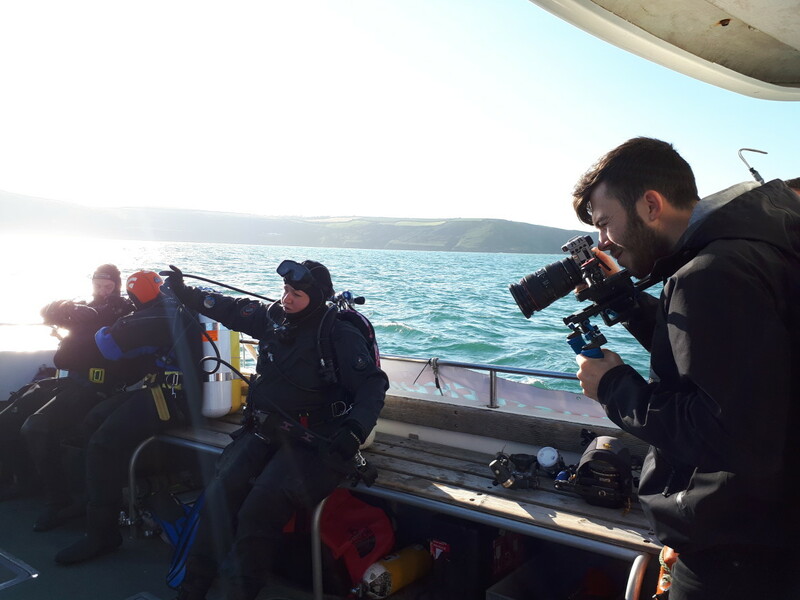 Watch our videos below about this exciting trip! 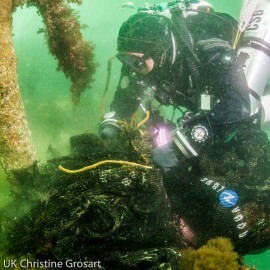 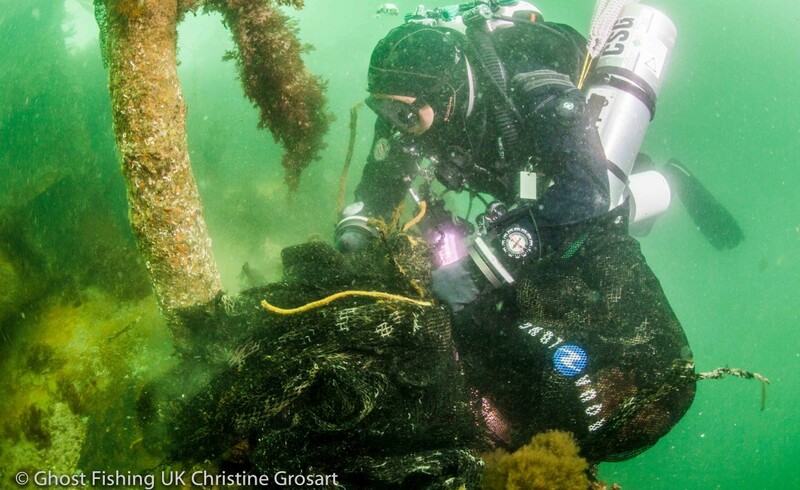 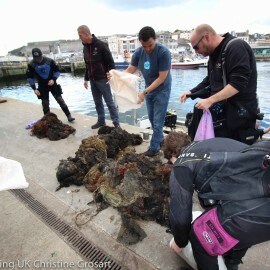 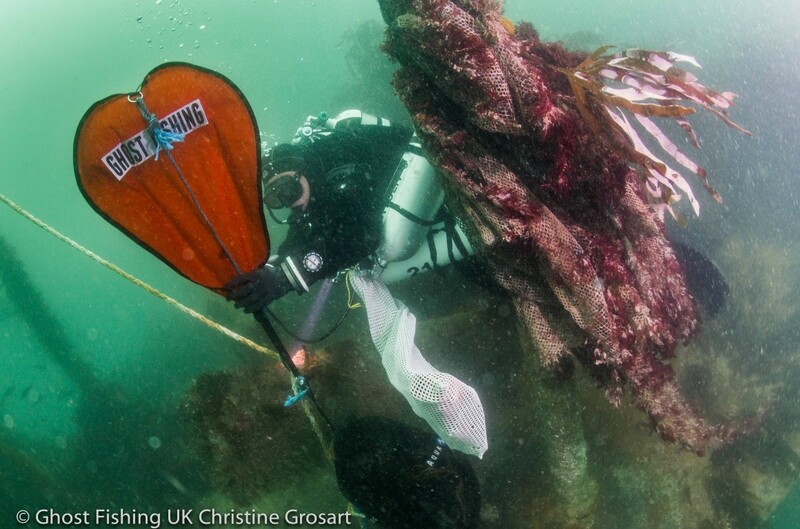 Share the post "Ghost net removal in Plymouth, UK ended with great results"
The ghost nets collected by the divers will become new carpets. 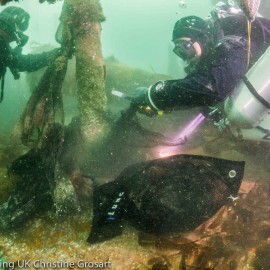 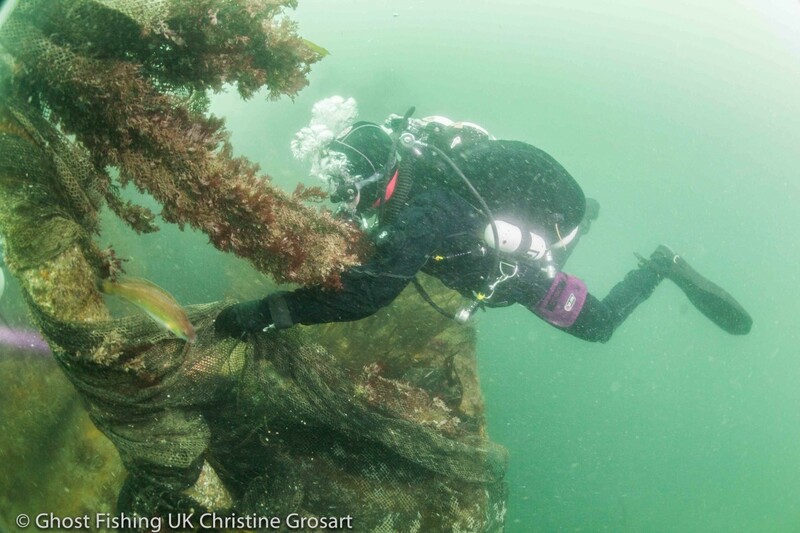 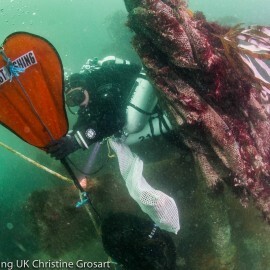 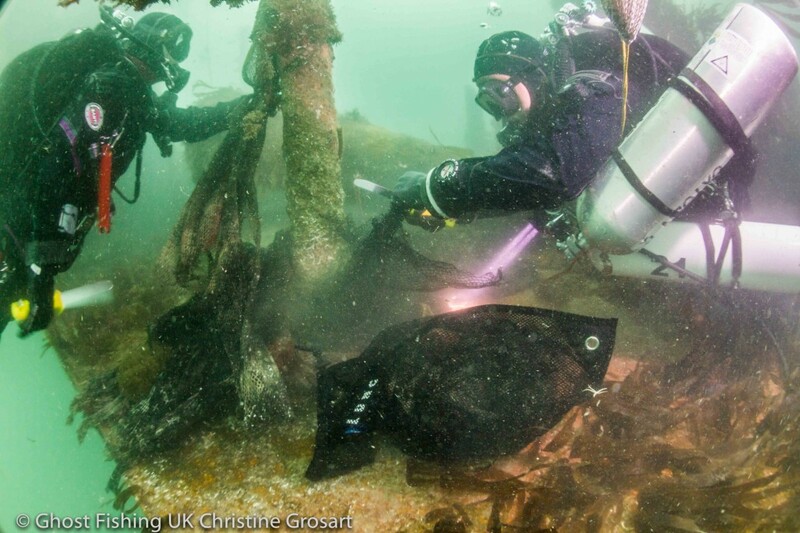 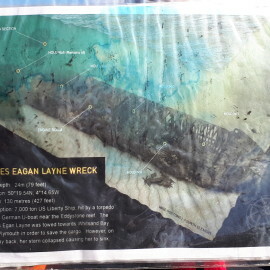 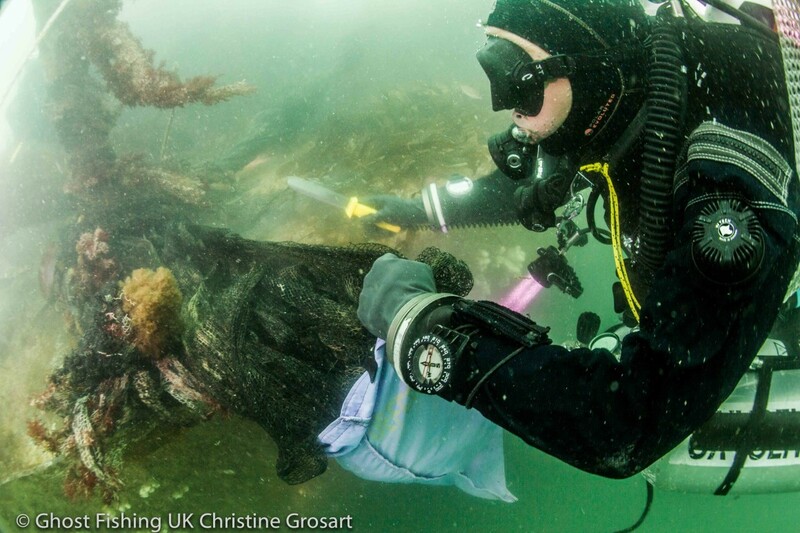 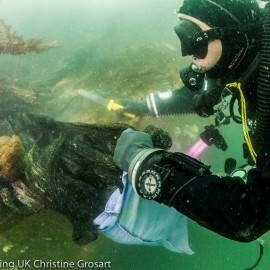 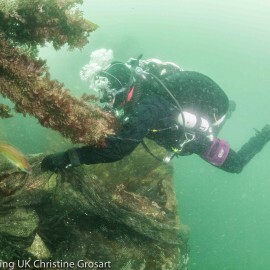 Cleaning up the popular wreck of the James Eagan Layne in Plymouth, UK.